Plot to assasinate Promise Mkwananzi? 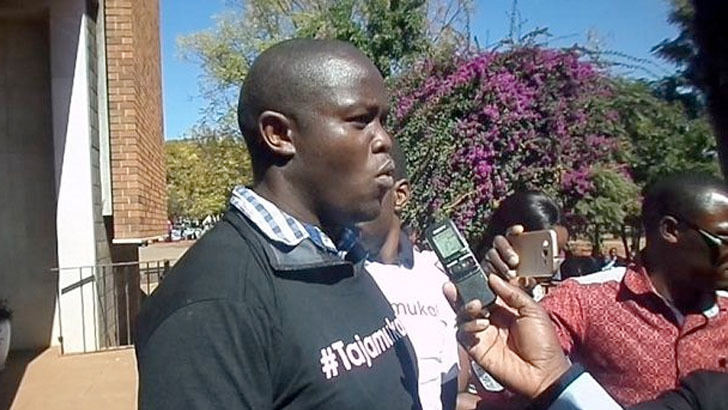 Tajamuka leader Promise Mkwananzi has alleged that the state has ordered his assassination after being accused of having a hand in inciting citizens who participated in the recent protests to be violent. Mkwanazni is currently based outside the country. Said Mkwananzi, "I hear these animals have ordered my assassination and that of one or two other comrades whose identity I am not at liberty to disclose. This is from very reliable source. But by the grace of God, we will not die." Mkwananzi further revealed that a joint operation of elements of the police, CIO and Zimbabwe Defense Forces had visited his home where they broke down the whole house looking for him. "I hear the police/army/CIO came for me and broke down the whole house looking for me. We have to remain vigilant and a step ahead of them, which we already are. Police running like headless chickens looking for me. Ndini ndadii zvangu." The former student leader is credited for partnering up with Pastor Evan Mawarire and implement one of the most successful #ShutdownZimbabwe operation in 2016 where citizens all over the country literally shut down the country. Mkwananzi has been in and of court since the formation of Tajamuka/Sesjikile which was instrumental in organizing the mass uprising against Robert Mugabe in 2017. He is the former Secretary General of the MDC Youth Assembly.